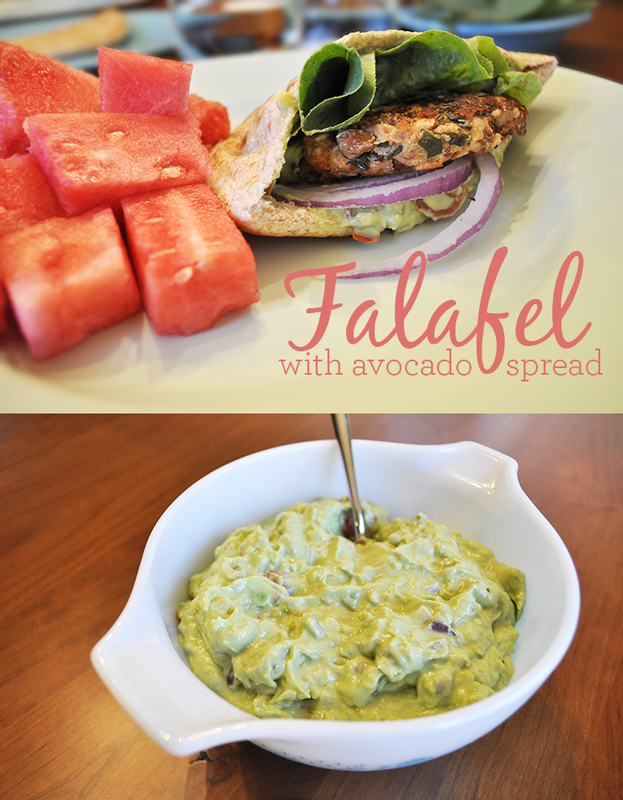 I know some of you are wondering, what is falafel? According to Wikipedia, falafel is: A Middle Eastern dish of spiced mashed chickpeas or other pulses formed into balls and deep-fried. Well, this falafel is neither made with chickpeas, deep fried nor made into balls. Anyways, Jodie made it for one of our Monday night dinners last year and it has been a favorite in our house ever since. I love it b/c it is delicious, but also b/c I can freeze it. I make a double batch (8 patties), and we usually eat two and freeze six--- or you can just freeze all eight so they are all ready in the freezer for fast dinners. 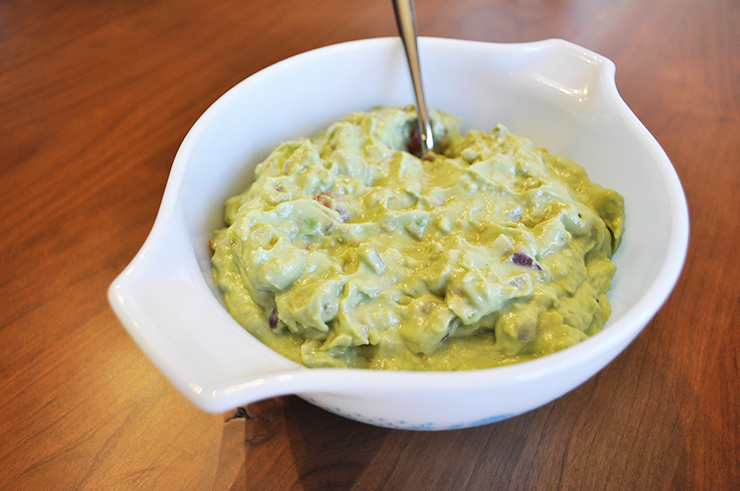 I also make a double batch of the avocado spread and freeze what we don't use in sandwich-size ziplock bags. I freeze enough spread in each bag for two patties b/c when I thaw the patties, I usually thaw two at a time. The avocado spread actually stays green if you freeze it right away. I also think the lime juice helps to keep its color. 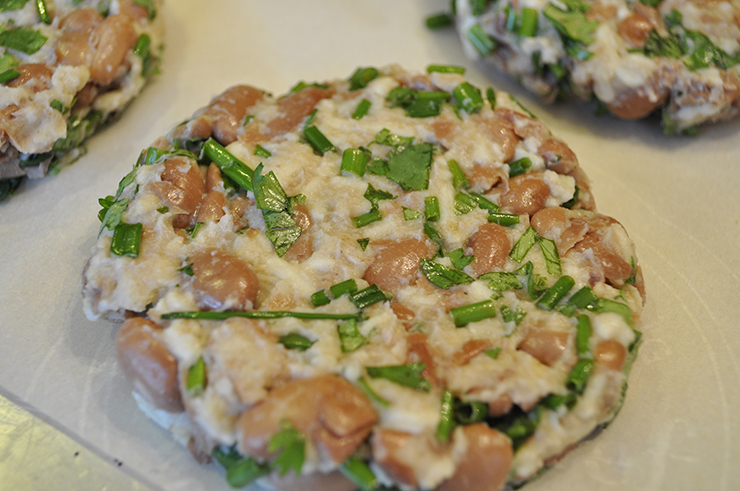 • To prepare patties, place pinto beans in a medium bowl; partially mash with a fork. Add cheese and next 5 ingredients (through egg white); stir until well combined. 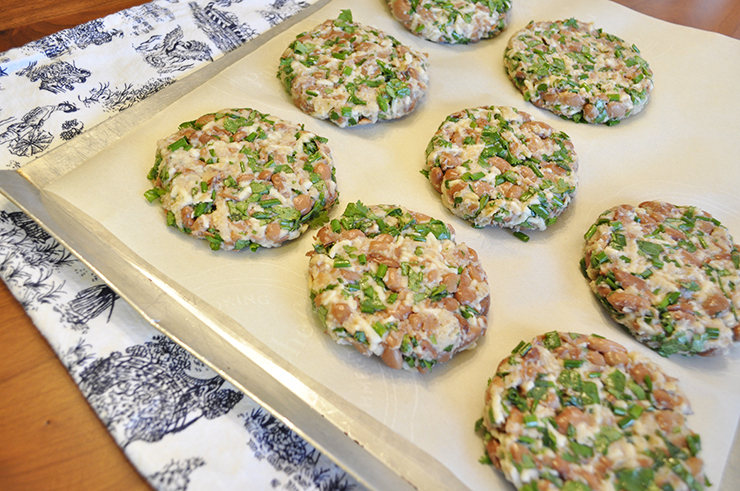 Shape bean mixture into 4 (1/2-inch-thick) oval patties. 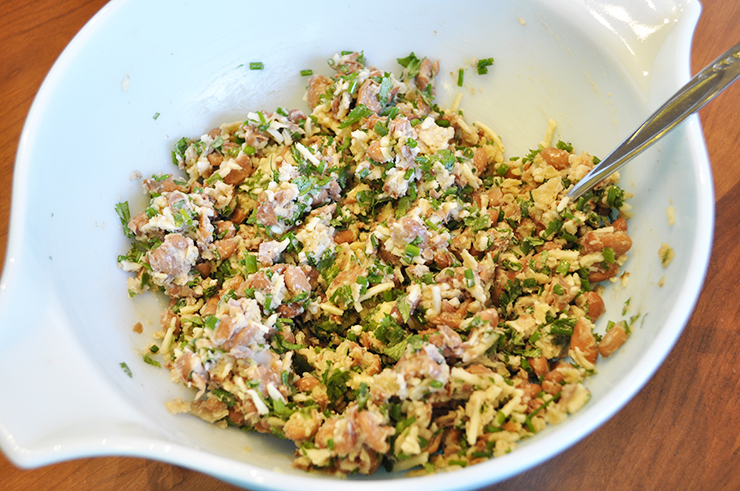 • To prepare spread, combine all ingredients - stir well. 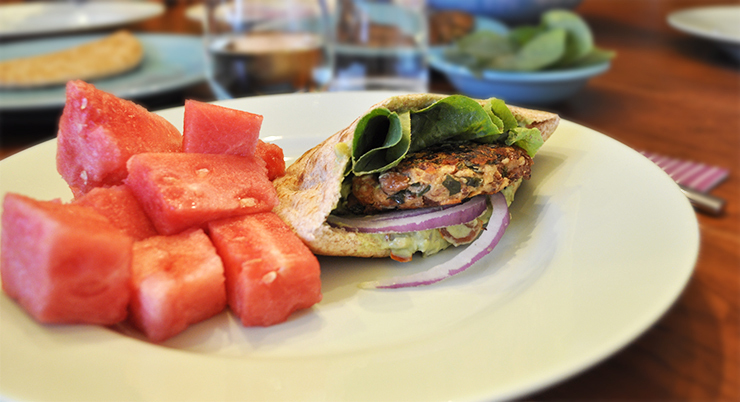 Spread about 2 tablespoons of avocado spread over patty and place it in a pita pocket; top with onions and greens. This looks absolutely delicious! I love the idea to freeze the patties and spread in the right combo for easy meals. Time to pin it!